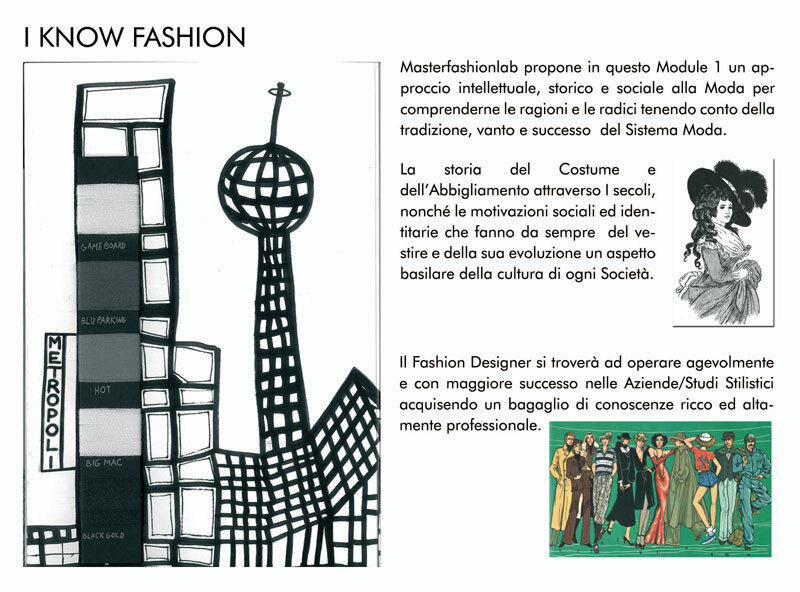 Masterfashionlab features in this module 1 an intellectual approach, historical and social Fashion. (Read more). Masterfashionlab proposes in this Module 1 an intellectual approach, historical and social Fashion to understand their reasons and roots taking into account the tradition, pride and success of the Fashion System. The history of costume and clothing throughout the centuries, as well as social identity and motivations that have always been the dress and its evolution a fundamental aspect of the culture of each company. The Fashion Designer is operating smoothly and more successfully in Firms / Stylistic Studies acquiring a background of rich and highly professional knowledge.